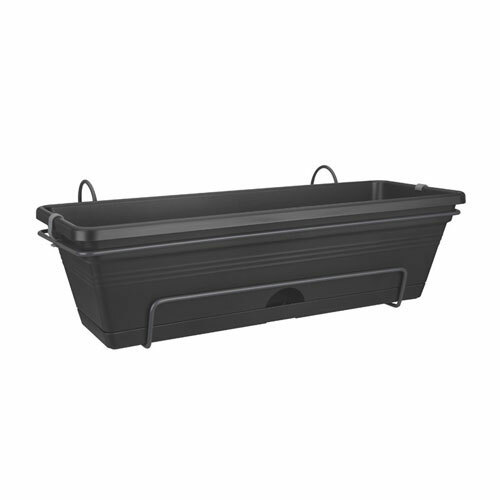 Elho Provence All-In-One ready to hang Balcony Trough in Living Black design is a classic balcony planter, made from 100% recycled plastic. The environmentally-friendly way to stylishly decorate the balcony at an affordable price. With matching saucer and a handy opening for watering. 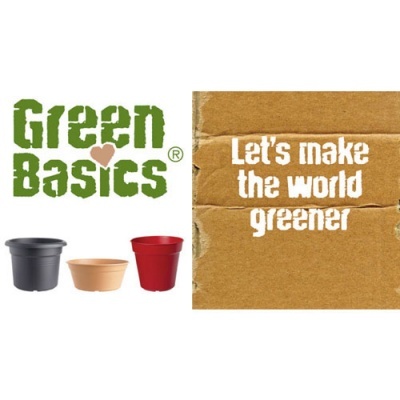 Green Basics environment friendly range from Elho satisfies Gardeners who have the environmental impact firmly on their mind. Elho have produced great looking inject moulded planters constructed with reused plastic. Mix & Match this unique and elegant outdoor balcony planting solution to tastefully decorate your balcony railing or fencing. Supplied ready to hang with an incorporated water tray and metal balcony frame, so gardeners and lovers of flowers can enjoy amazing displays with minimal installation. Provence trough is designed to hang over a fence or round or square railings* where vertical rail supports also exist beneath. Brighten up your balcony* or fences with flower displays, herbs or vegetables, without any need for drilling or screwing. ​* Green Basics Provence All in 1 trough will swing down unsupported if hung on a plain railing pole where lower vertical strut supports do not exist at the position where the Provence is hung. Rear support is necessary to support the Provence to a minimum of 14 cm below railing top, or a minimum of two vertical supports within the 50 cm width. This is due to a horizontal stabilising frame behind the Provence which keeps the planter upright at all times.